Sophisticated yet cold, Pale Ritual’s “Acolytes” is a musical journey through Black melodic tides. With crushing and technical riffs being complemented by trancing melodic melodies that rhythmically encapsulate the listener, “Acolytes” is an audible grimoire that delivers a cold and unhallowed experience for the listener. The opening track echoes classical guitar influences that one may find familiar to the works of the Issac Albeniz, while setting the atmosphere for the first full band performance of each grim and intelligently crafted offering. Each track a unique vision from both Morris brothers, Pale Ritual paved its own somber road with “Acolytes“. The album brilliantly crosses back and forth from several different influences musically. 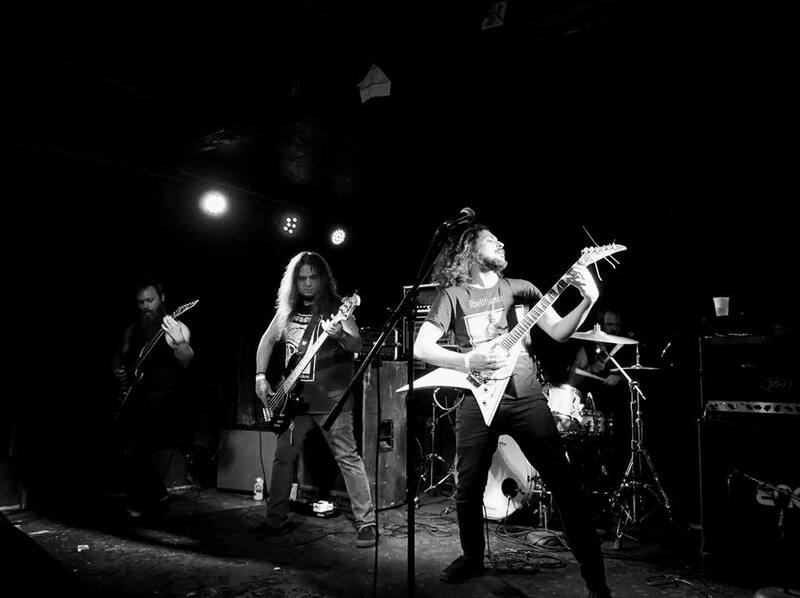 The LP achieves echoes of early melodic Death Metal influence from bands like Death and Cynic, meeting a contemporary Black Metal tone and song construction while adding a small amount of jazz and classical guitar feel to the construction. Pale Ritual’s “Acolytes” is a crushing but somber journey through a cold and darkened times.  Today This Is Black Metal Webzine joined with founding members of Pale Ritual, Cameron and Matthew Morris. This Is Black Metal: Thank you both for taking the time to talk further in depth about the new Pale Ritual release. Can you in your own words, provide a history of the band from the formation, leading up to the present day? Pale Ritual: Thank you for giving us the opportunity to elaborate on our latest release. Pale Ritual has truly always lived with my brother and I from the time we started playing music together. We’ve been jamming since our early teenage years. When we finally found our sound, we realized we just couldn’t accomplish that with the band we were in at the time. The most difficult thing has been getting this ideal project off the ground between myself moving from SC to NYC. Our first EP was a sort of test run of how we could operate. We would write the songs, do the studio time ourselves, and then find reliable live members to fill out the shows. Acolytes was the official debut in a lot of ways. I wrote it over the span of two years and was really meticulous with the different guitar and bass parts. Ultimately this has been brooding for many years and we finally had an understanding and vision for how to accomplish this. TIBM: What are some influences for both of you musically? Pale Ritual: Death’s Human is the absolute most important album I’ve ever heard. I remember my first few listens and being obsessed with the idea of metal being more than just aggression. It’s the perfect balance of being raw but thoughtful and musical. That record would ultimately lead me to my learning and decision to go to school for classical guitar. As far as other bands go, I’d have to say I like a bit of every sub-genre of metal. Drudkh, Sadus, Extol, Ulver, early Cynic, Testament, Arsis, Neuraxis. There are also several jazz and classical players that I could list for days that influenced my views on soloing and composing. 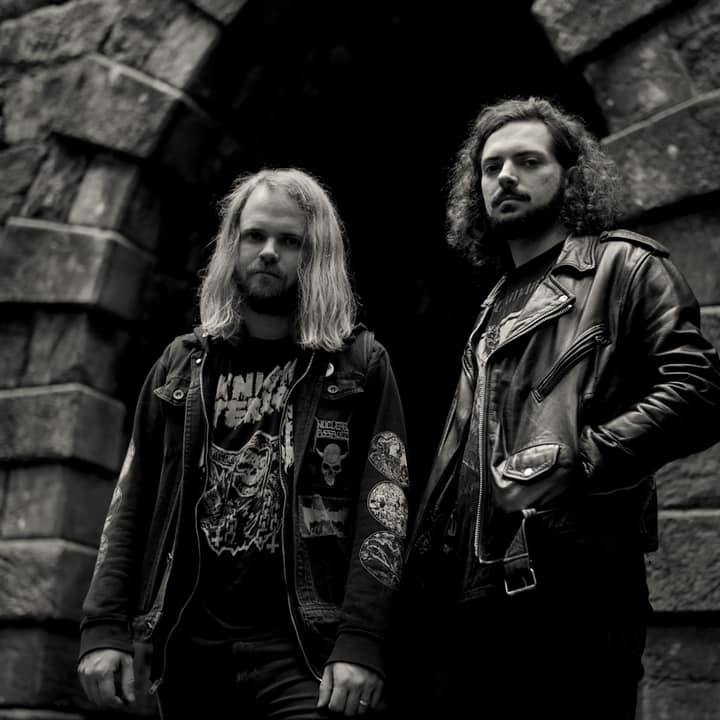 TIBM: In 2016, Pale Ritual self-released your debut EP entitled “Carriers of Nothing”. Start to finish this EP was an honest and solid effort to display the band’s driven energy and well rounded/talented creative aesthetic. What would set this release aside from Acolytes? Pale Ritual: It really was a trial run for how the project would work. Some of it was material we just never recorded in our previous band. They were all my riffs so I took them with me to perfect them. The other half of the release were tunes that I had envisioned but would not work with the other band. So it’s really this sort of in-between phase of us both coming out of a project that limited us and forming our own. Acolytes is focused, precise, and clear to what we’ve always wanted to do. TIBM: Can you describe in your own words, what the inspiration for Acolytes? 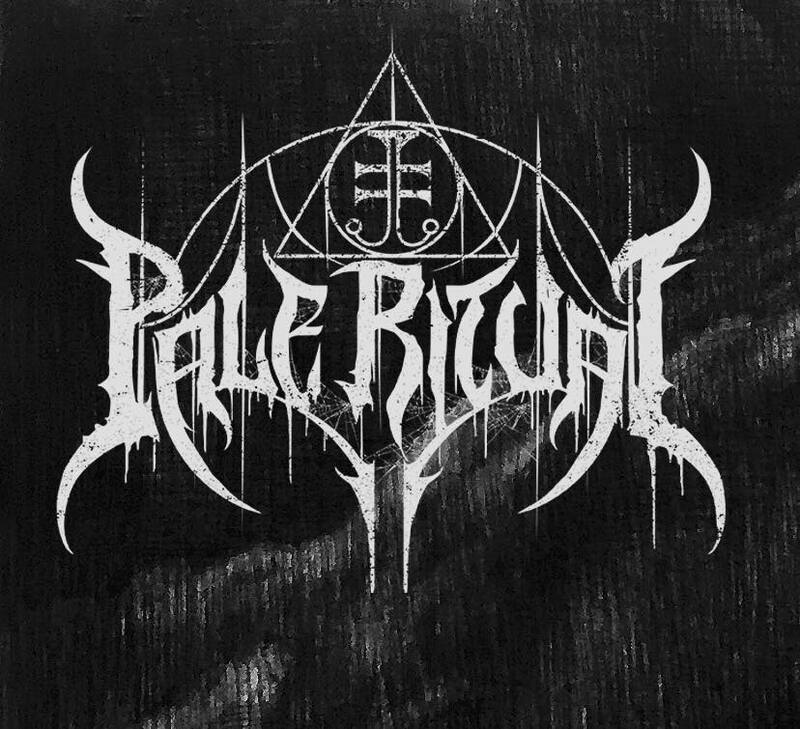 Pale Ritual: Musically and lyrically it really reflected my period of figuring out what I wanted out of life. Going through unwanted mundane actions each day, teaching music I didn’t care about, being overlooked, underappreciated, and underpaid at my job. I sort of viewed myself falling down this black hole and on my way into it I said “I’m not going down like this. I’m going to etch myself into the walls of time.” I really worked through a haze and dredged the depths with this one. TIBM: What was relative and what was different from your 2016 release “Carriers of Nothing”? 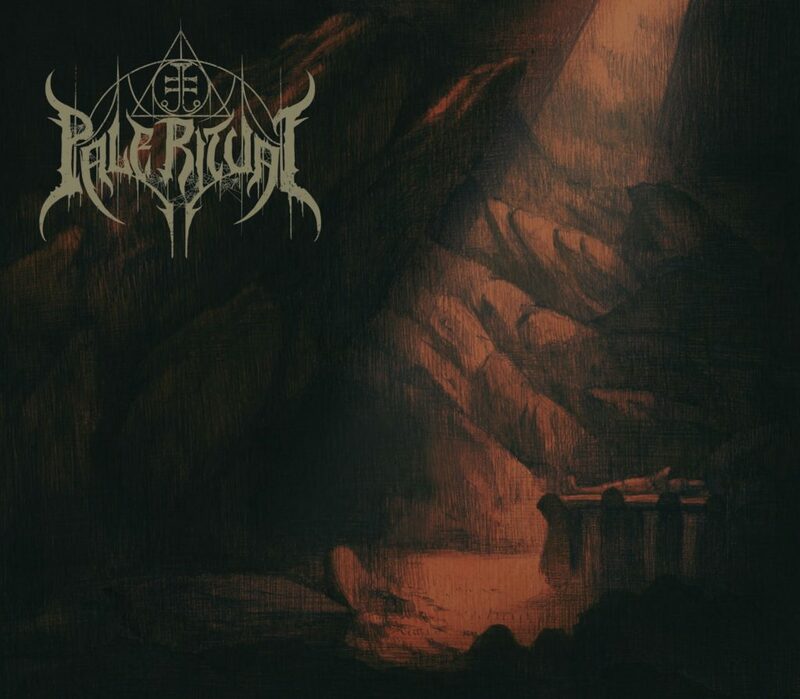 Pale Ritual: There really isn’t much in common aside from the same view on life and a few riffs that appeared on the EP. As I said earlier, much of it was coming out of a band that was limiting. TIBM: What was the recording process like, and how long did it take to produce? Pale Ritual: We came into the studio pretty well rehearsed. I had been writing and playing these riffs and solos for two years and Matt had been jamming the tracks down in SC. Kris at Legitimate Business was a blast to work with. We tracked the rhythm guitar and drums live, then layered the other instruments and vocals. I know metal is a serious and demanding genre, but honestly, it was five days of goofing off, coffee, and dumb inside jokes. We were prepared so why not have fun tracking? TIBM: What is the next course of action for the band? Pale Ritual: I’ve literally been back home in Brooklyn for less than a day and I’m already scouting a few live members in this area. I’d like to train up some serious players and fly Matt up for some shows in the city. Aside from that, we are looking at label shopping and festivals to support Acolytes. We’ve put so much into this, it’ll take some time before writing the next one. I do have some ideas though for different tunings and more dissonant classical leanings for the next release. But that’s all up in the air for now. TIBM: How have the recent shows been for the band? Pale Ritual: An absolute blast. Chase Crouch and Alex Angel did a fantastic job on learning the tunes and shredding live. The hometown show in Greenville, SC was a rager with a killer after party. The set was well received by the crowd and the cops got called because my buddy was playing saxophone outside by the bonfire at 3am. Columbia was awesome. We opened for KEN Mode and saw some great friends and the promoter from the band Abacus made bbq for the event. Raleigh was rad too because it was at a punk house and it brought back memories of house shows with good vibes. TIBM: Are there any tours in the near future? Pale Ritual: That is to be determined. For now we are functioning a bit sporadic, but I definitely do plan on hitting the road in the future. TIBM: How many different projects are you guys in? Do you see any of them meshing together in a sense? Pale Ritual: We are both in a few different projects. I don’t see any of them fusing together but it would certainly be cool to have them tour together. I will gladly play two sets a night if it’s music that I love. TIBM: Who did your album art for Acolytes? Pale Ritual: My wife, Naomi Nakazato. She really did a great job on the layout and I couldn’t ask for a better partner that supports my passion. TIBM: Thank you for talking with me, was there anything else you guys would like to add? Pale Ritual: Pale Ritual is a living and breathing project that will always stay with us wherever we go. Expect it to evolve and manifest itself in many different forms.